Mother's Day is coming up and what better time is there to spoil your mum. This year Mother's Day falls on Sunday 8th May, 2016, so there is still plenty of time to organise something special to show Mum just how much you appreciate and love her. The C Restaurant is always a popular favourite, offering breakfast, lunch, dinner and High tea on Mother's Day. Not only do you get a delicious meal but you can also enjoy the best view of Perth City as you dine. Breakfast will cost $55.00 for adults and $32.00 for children, a three course lunch is $99.00 for adults and $44.00 for children, a two course dinner is $94.00 for adults and $34.00 for children and High Tea costs $59.00 for adults and $39.00 for children. Bookings are essential. Enjoy a fantastic Mother's Day breakfast, lunch or dinner at Fraser's in Kings Park. There are a couple of packages available with buffet breakfast in the Function Centre costing $48.00 per adult, lunch in the restaurant from 11am costing $95.00 per adult or buffet lunch in the State Reception Centre costing $105.00 per adult and A La Carte dinner in the restaurant available from 6pm. Bookings are essential and can be made on-line or by phoning 9482 0103. 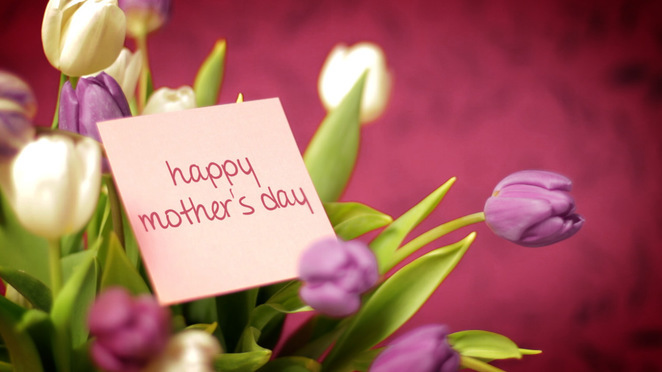 Take Mum along to the Joondalup Resort for a special Mother's Day Buffet Lunch or High Tea. Lunch will be served at the Lakeview Ballroom between 12noon and 2.30pm and will cost $75.00 for adults, $55.00 for teens $25.00 for children (children under 5 years eat free). The High Tea will be held in the Grand Ballroom between 3pm and 5pm and will cost $65.00 for adults. Bookings are essential. The popular Sizzler restaurants have an all-you-can-eat buffet style Mother's Day Breakfast Banquet – adults are $26.95 each, Teens 13 - 17 are $16.95 each, Children 9 – 12 are $13.95 each and children 4 – 8 are $9.95 each. There are two sittings available - 7am till 8.30am or 9am till 10.30am and bookings are essential. If Mum would prefer lunch or dinner at Sizzler, the regular menu is available with a complimentary glass of sparkling wine. Mosmans in Mosman Park is once again hosting a special Mother's Day Lunch. The package includes a delicious three course meal, a glass of sparkling wine on arrival.and will cost $110.00 per person. . There are two sittings available – choose from either 11am or 2pm, bookings can be made on 9383 3388. These are just some of the restaurants offering Mother's Day dining for breakfast, lunch, dinner or high tea. There are many more and there are prices to suit everyone. Check the website of your favourite restaurant for full details and remember to book early.